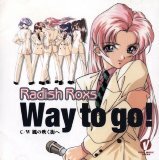 This is the second CD by the seiyuu group Radish Roxs. Tracks 1 and 2 are vocals. Both songs are sung by Naomi (Asada Yoko), and the other girls only provide backup vocals.. Tracks 3 to 7 are short messages by each character. 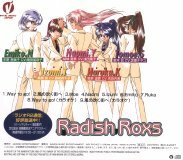 The characters in Radish Roxs are as follows.